As we know Nokia has already announced that they will teaming up with Microsoft to build Smartphone's based on Windows Phone 7 Operating System. The two companies wants to enhance their partnership to the next level, Microsoft says the strategic partnership will allow both companies to use their "complementary strengths" to create a new "global mobile ecosystem" which will almost certainly take Windows Phone 7 market share to a whole new level. Nokia will make Windows Phone 7 their "principal smartphone strategy" (in other words, it's going to be their main operating system for all their phones) with plans to work in partnership with Microsoft on both software and hardware features. Nokia will make their primary OS for smartphones "Symbian" OS as a "franchise platform", with MeeGo soon with an emphasis placed on longer term market exploration for next generation devices, platforms and user experiences. 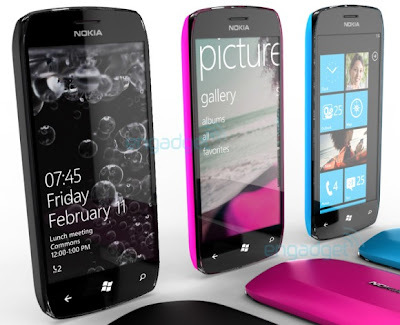 Nokia has confirmed today that its first wireless phones based on the Microsoft's Windows Phone 7 operating system will launch later this year in Six European Countries includes; Netherlands, France, Germany, England, Spain, and Italy. Interestingly, Finland, the country where Nokia is based in is absent in the list. According to Venture Beat report; Vice President of Nokia Europe Victor Saeijs said that the first Nokia WP7 devices will hit the market in 2011 — and he even said he had one in his pocket, but he chose not to share it with the audience as it was an early pre-production prototype. Nokia has been using its own Symbian based operating system, for its phones for years but will phase out the OS in favor of Windows Phone 7, Nokia more said that they will still release phones with new versions of the Symbian OS. Venture Beat reports that the Netherlands would get phones with the Symbian Anna OS installed in July. Another major update, code named Belle, is also expected to be released by Nokia later this year.